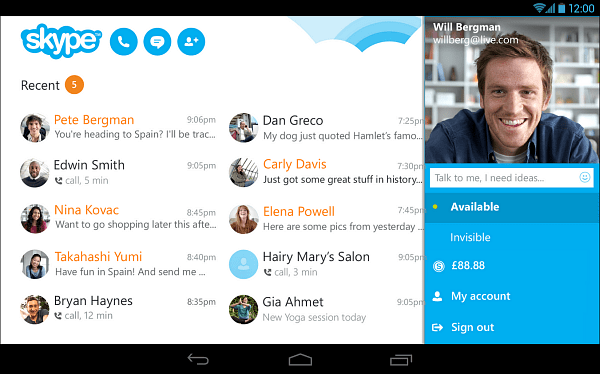 Skype 4.4 is the latest version of the Microsoft-owned service’s Android app. It brings a new look for tablet users as well as under the hood improvements. Microsoft is working hard on making the Skype Android app more user-friendly. After the 4.0 major update, which has completely changed things around design-wise, the Skype 4.4 update, announced recently, brings a new Skype look on the screen of your Android tablet. If you own a Kindle Fire HD or the recently announced HDX, the new look is available for you, too. It’s basically the same appearance available until now to phone users, a much cleaner, more intuitive one. But that is not the only new thing in the 4.4 update. The Skype team promises improved video call quality, too. You’ll get up to four times the current resolution, provided your connection speed can handle it. Some bug fixes and improvements are also part of the mix. Among these are fixes to call issues, like the one that would reboot phones, as well as some enhancements to display and user experience when orientation is switched. The new version is already in the Google Play Store. 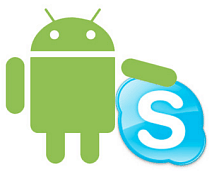 If you’re already using Skype for Android, the update is probably already available to you. I liked the feel of it on my tablet. How about you? What do you think of the new update?